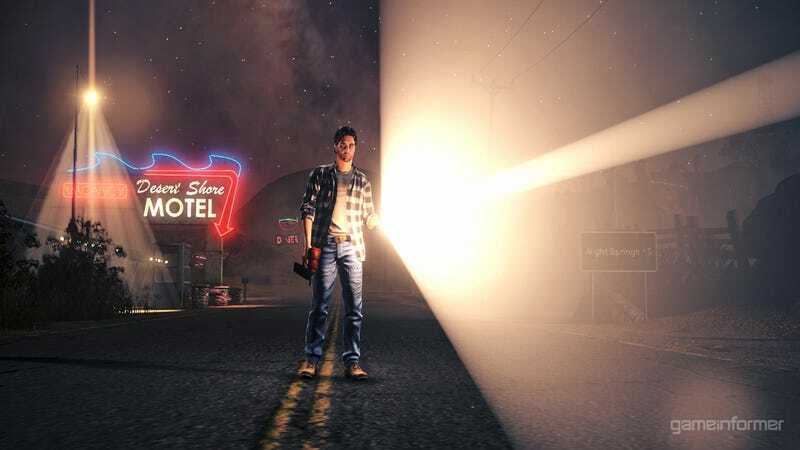 A Wake -Game Informer gives us our first look at the upcoming Alan Wake addition. One of my favorite modern games better be getting a worthy new experience. While we have no confirmation on just how fly Minecraft creator Notch feels after renting a private jet to fly to a indie game summit, I'd expect he's approaching the G6 territory. Has Call of Duty Driven Hundreds of Teens into Military Service? In today's installment of Speak Up on Kotaku, commenter Tony Danza suggests the Call of Duty series from Activision is responsible for countless teenagers deciding to join the military and be all that they could be in the games. I&apos;m 25 hours into The Legend of Zelda: Skyward Sword. Baseball, hockey, football... Call of Duty? If the people behind Call of Duty: Modern Warfare 3 have their way, the next big sport people around the world will be obsessing over will involve virtual soldiers killing each other in perpetual warfare. There aren't instructions here, not unless you're really good at figuring out what's going on in a bunch of images. But it's still fascinating to watch a Nintendo 64 get picked apart and then pieced back together again as a portable.